Your life is full of priceless, fleeting moments that you want to keep just the way you see and feel them. Preserve each moment with the E-520. 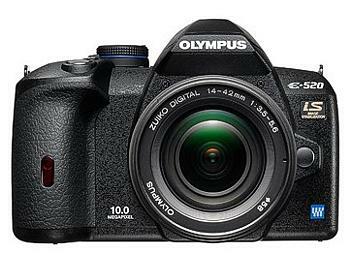 High performance functions such as Built-in Image Stabilization and AF Live View with 11-point multi-area autofocusing expand the potential of digital SLR photography, while offering you free-angle convenience just like a compact camera. EVER. the photo qaulity is excellent and i will love my camera for ever!